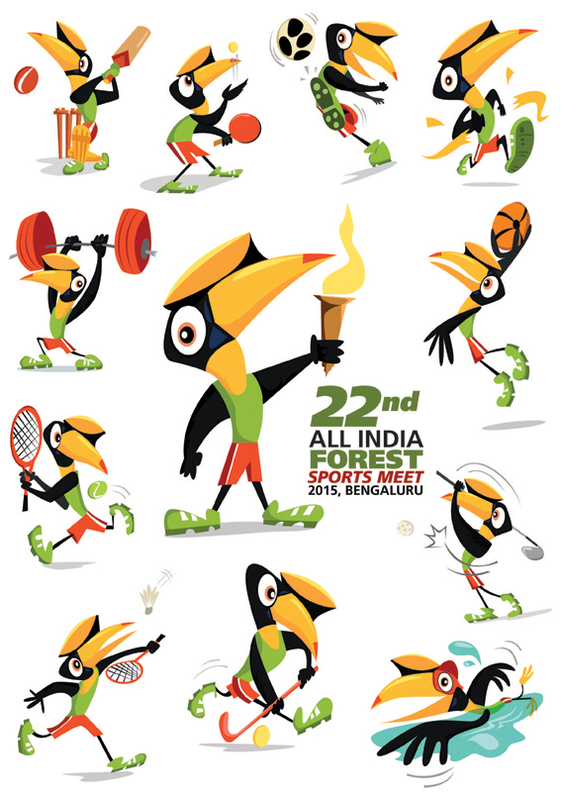 Meet Billoo the Hornbill, a mascot I designed for the All India Forest Sports Meet, 2015. 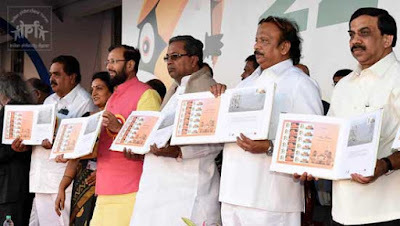 The mascot also features on a series of 'My Stamp' postage stamps issued by the government, released at the meet by the Chief Minister of Karnataka, Mr. Siddaramaiah, and the Union Minister of State for Environment, Forests and Climate Change Mr. Javadekar, among others. 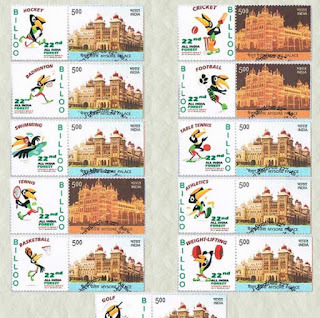 Billoo also features on a special cover of the Indian Philately Digest to commemorate the event. 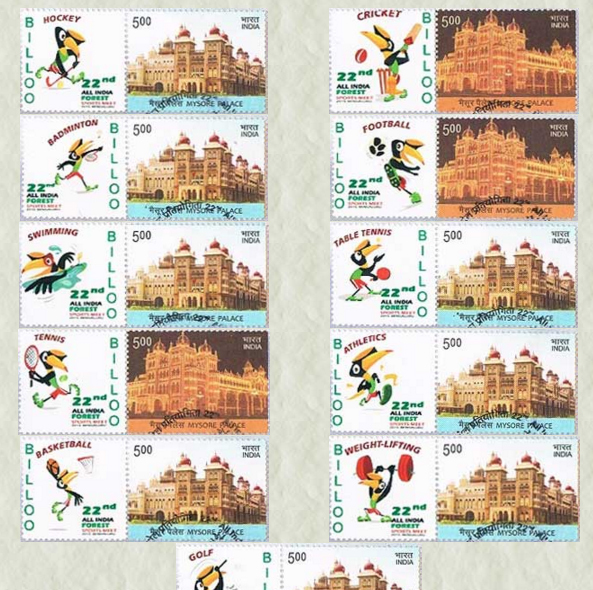 The 'My Stamp' series featuring Billoo the Hornbill released at the event. 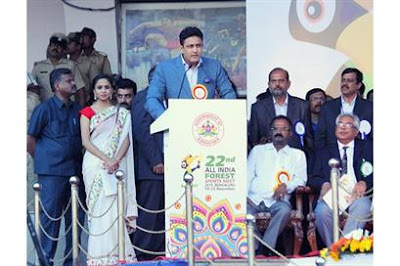 Oh, and here's 'Jumbo' Anil Kumble speaking at a podium with Billoo on it!